It seems an age since I last put any teapots on my blog. It’s getting more and more difficult to find unusual ones that I like. 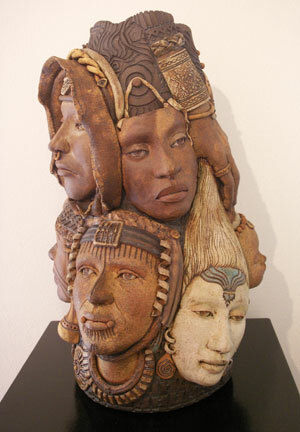 However, I have lately come across ceramicsist artist Kathy Waggoner and I find her work intriguing. 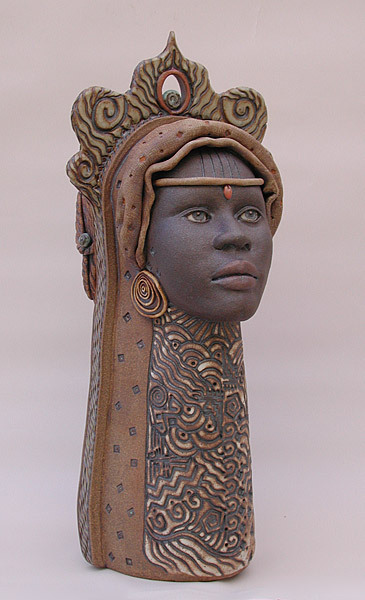 Her works explores identity, in myth, form and stereotypes. Why do I like these – probably because they ARE stereotypical – but they have an indefinable edge to them. 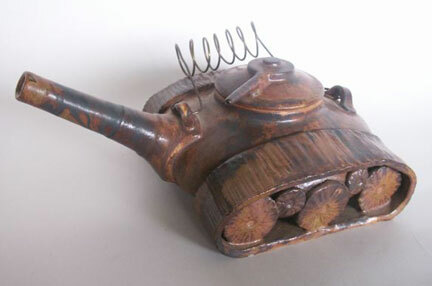 It’s been quite a while since I featured some teapots on my blog, so here’s a few more unusual ones I have come across. The first unusual one is made of fur. 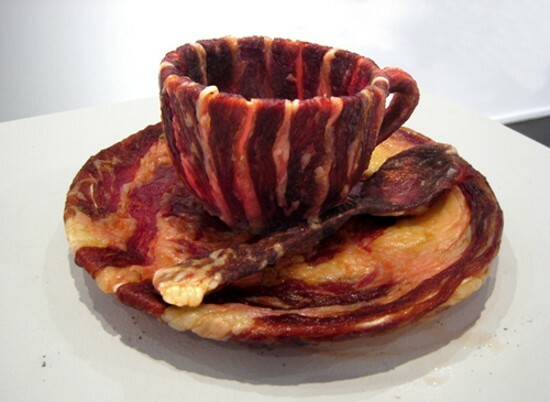 I have already done a post about Merritt Oppenheimer and her iconic fur cup and saucer (here). 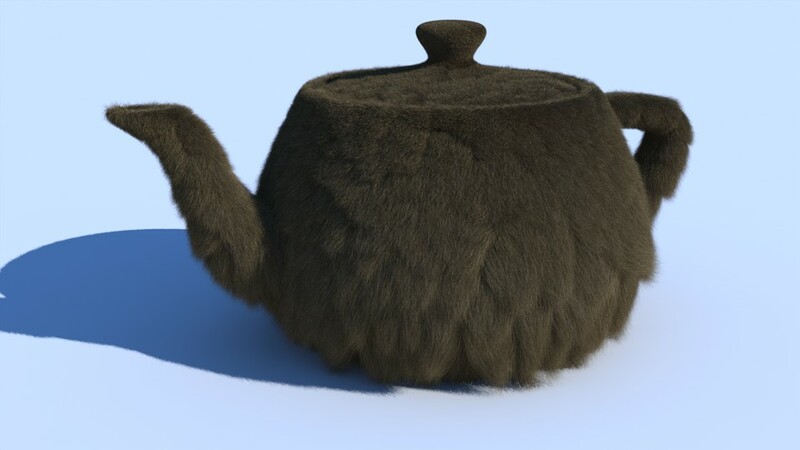 I have absolutely no information about this teapot apart from the obvious fact that it is made of what looks like black fur which does look real (and most likely is). I like the tactile qualities of the piece very much. Yet another teapot with no information to go on apart from the obvious reference to knitting. I really like the design and glazes to this pot, which has been well planned and thought out. 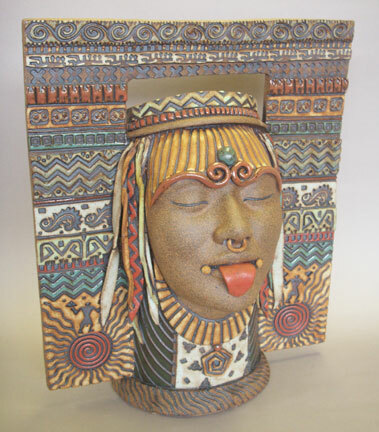 A very unusual piece of ceramic indeed. 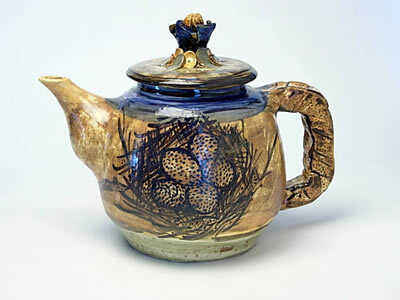 I was torn between 3 very different pieces to include (one being a bird’s nest teapot), but decided to go with this other birds nest one because I really like everything about it. 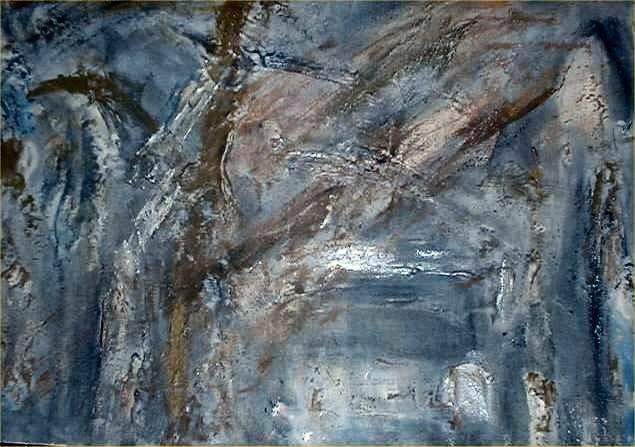 The colours and the glaze are sympathetic to the subject matter and there is something so countrified and pleasing about it. I like the speckled eggs in the nest drawing – and I probably would like whatever is on the finial – but I can’t make out what it is! I don’t know whats going on, but I have had a few underwater themes on my blog recently. From underwater photography to underwater sculpture. 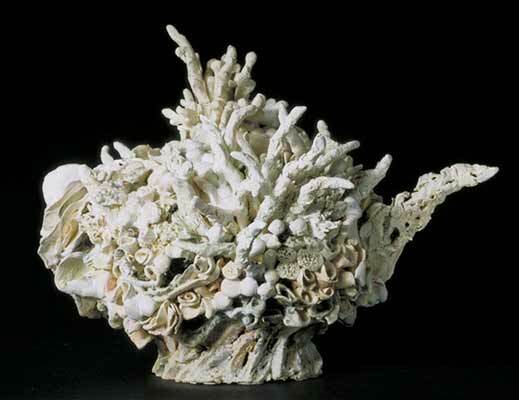 Now I have found teapots that have a kind of underwater organic surface. 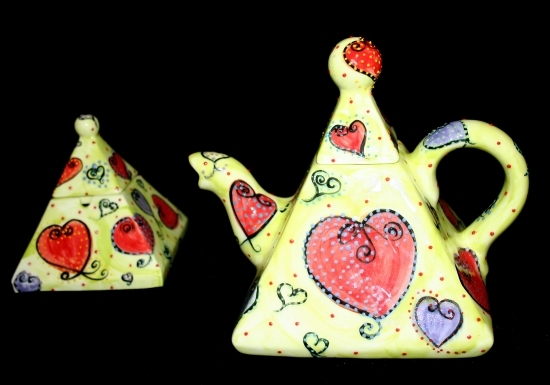 I love these teapots from Susan Collett. They look like they have just evolved, grown under the sea into these coral shapes. 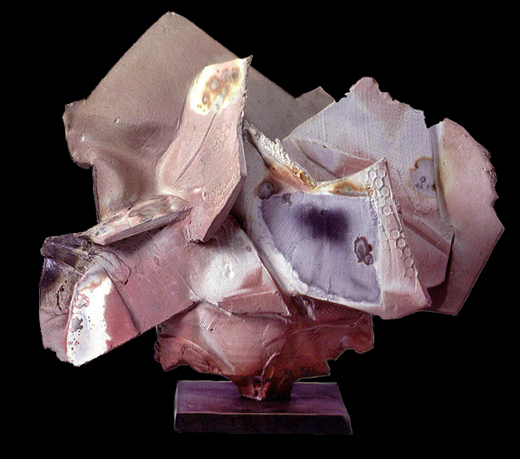 So unusual and beautiful – really organic and calcified. 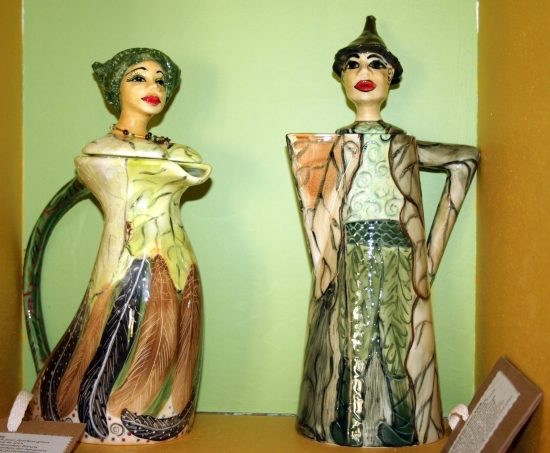 The teapots from GJM Ceramics are unusual, quirky and have a great play on words. Teapots like ‘Relativitea’ and ‘Calamitea’ are great fun and very aptly titled, but it is the teapot called just ‘Fossil teapot that I really like because of its patina and simplicity of patterns. I like the way the ceramicist has made the surface and the colour he has glazed it. 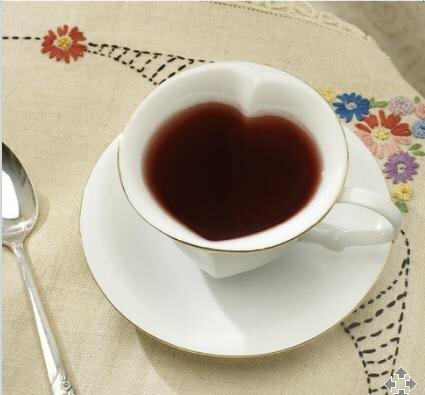 Unfortunately I could only find a very small image of this teapot, the larger version is available onsite. The above mentioned are all from the ‘Novelteas’ collection from GJM Ceramics. 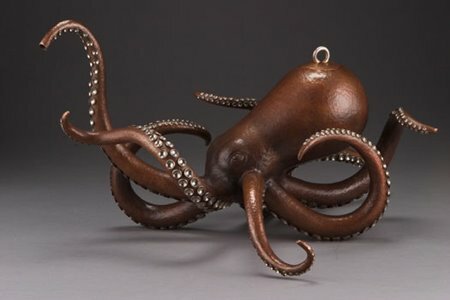 I found this last teapot on a site called ‘Everything Octopus’ which is indeed a collection of everything Octopus based! The actual teapot is from a favorite of mine Miel-Margarita Paredes. who makes very unusual toys, oddities, helmets and curiosities – and much more. I featured her work some time back. This octopus teapot is a real work of art – the sort of thing that could be passed on from generation, becoming an heirloom – yet always looking contemporary. I thought that it was time for a little summing up of what’s been happening on here. This is my 427th post now. So far (fingers crossed) I have managed to blog very nearly every day last year. My goal for this year is not to miss one day out. What am I finding to blog about? ooh all sorts of interesting and some not so interesting things……. 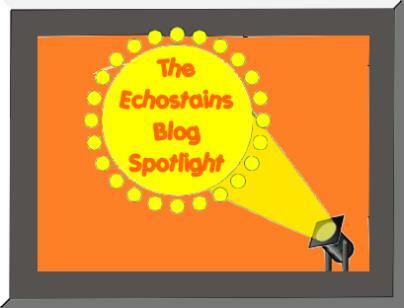 I thought it was about time I put a little of my art on here, plus an explaination of what ‘echostains’ actually is. 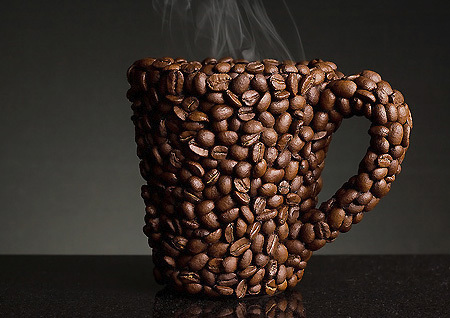 Weird and wacky design is carrying on and so are the teapot posts. Just when you think you have seen it all – someone comes up with yet another innovative design. 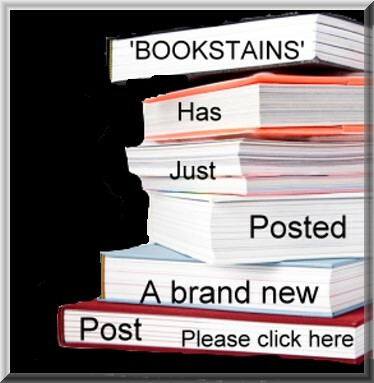 January also saw the launching of my other blog ‘Bookstains’ just press the magic button on the right and get there instantly! 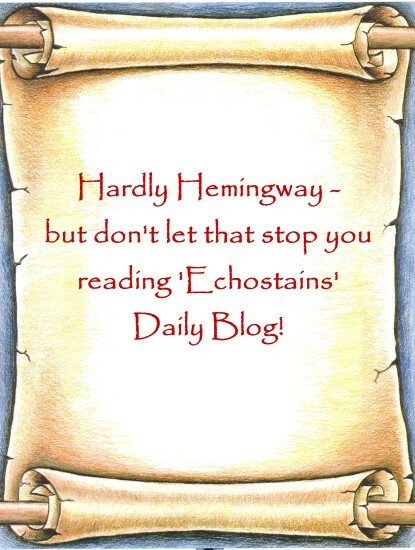 That blog is dedicated to reading challenges, authors I have read and a mapping of my Gormenghast journey as I re read Titus Groan and Gormenghast and write my findings and any new insights I find. I shall be having a spring clean on here – if Spring ever comes and a bit of a sprucing up. I may even have to change my theme as the formatting is erratic at times – sometimes the text comes out massive when I save a post. Just a quick little post tonight. 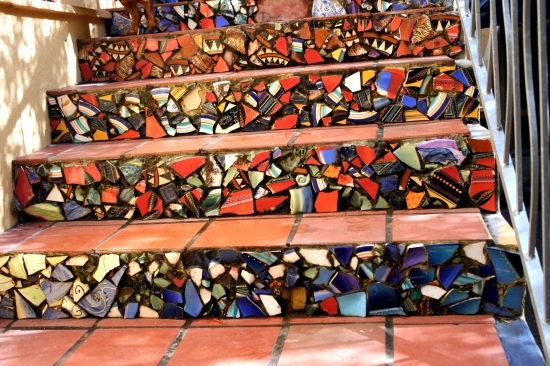 I came across this stairway made of teapots! Well, it’s not just teapots it’s made of, there are many chards of pottery and ceramics in the mix. Also by the same person, this colourful ‘Woodland couple’. I love the simplicity and the country inspired glazes of this sort of work. The ceramics are both rustic, yet contemporary. 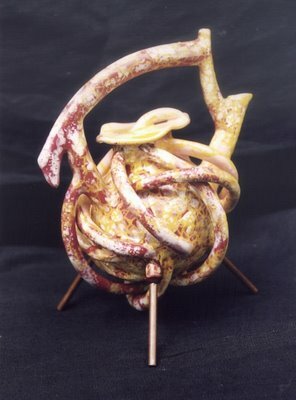 This strange , organic teapot really captured my imagination . 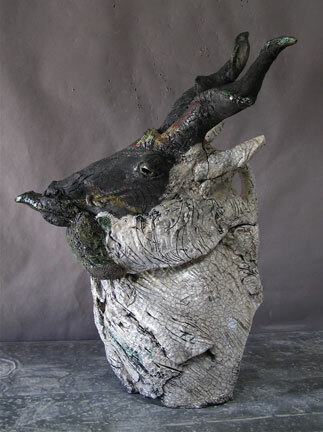 This Raku ceramic, called ‘Wild Goat teapot – Homage to Paul Soldner’ is by Nina de Creeft Ward from The Beatrice Wood Centre for the Arts. I don’t know who Paul Soldner is, I just hope he was pleased with the wild goat reference! This teapot reminded me of a painting by Spanish artist and Printmaker Francisco de Goya'(1746 -1828). The painting goes under several names; ‘The Great He Goat’ or ‘The Coven,’ or ‘Witches Sabbath’ in 1820 -23. The painting shows a number of grotesque witches at their sabbath with Satan as the guest of honour. Some of the faces of the witches are truely terrifying. ‘The Witches Sabbath’ is one of a series of what is known as Goya’s Black Paintings. These paintings were done in later life (1819 – 1823) by a very depressed Goya, after he had survived two near fatal illnesses. They are dark and full of fear and show the artist’s anxiety. The artist who the Arts Centre is named after (where the teapot came from) is Beatrice Wood and she was a very interesting character. This American artist and studio potter was born 1893 and died in 1998. 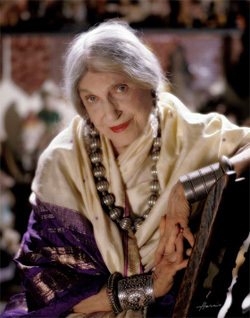 In later life she became known as the ‘Mama of Dada’ a movement 1916 – 1922. I shall be writing about (eventually). An interesting fact about her is that the character of Rose DeWitt Bukater in the 1997 film Titanic was partially based on her.